January 10, 2015 – ROW TV Taping: Gino defeated Inferno Tiger. March 14, 2015 – ROW TV Taping: Gino defeated Bu Ku Dao. 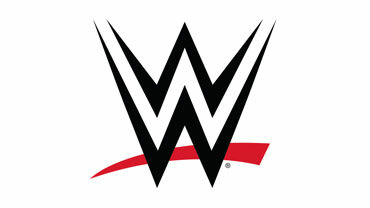 May 24, 2015 – ROW: Gino defeated Ayden Cristiano. June 20, 2015 – RPW: Gino defeated Rob Barnes. July 18, 2015 – ROW: Gino defeated Ayden Cristiano. August 8, 2015 – ROW: Gino defeated Ayden Cristiano. September 12, 2015 – ROW TV Taping: Gino defeated The Mysterious Q to win the heavyweight title. October 10, 2015 – ROW TV Taping: Gino defeated Ryan Davidson and The Mysterious Q in a 3-way match to retain the heavyweight title. November 14, 2015 – ROW TV Taping: Gino defeated Evan Snow to retain the heavyweight title. December 12, 2015 – ROW TV Taping: Gino defeated Evan Snow to retain the heavyweight title. February 6, 2016 – ROW TV Taping: Gino defeated Keith Lee to retain the heavyweight title. February 27, 2016 – ROW TV Taping: Gino defeated Big Sean Studd to retain the heavyweight title. March 19, 2016 – ROW TV Taping: Gino defeated Abel Andrew Jackson to retain the heavyweight title. April 9, 2016 – ROW TV Taping: Gino defeated Terrale Tempo to retain the heavyweight title. May 14, 2016 – ROW TV Taping: Gino defeated Erik Lockhart to retain the heavyweight title. June 11, 2016 – WrestlePro/GFW: Taboo Crew (Craig Steele and Sandy Mann)ddefeated Team Espana (Jos A and Jos B), The Aesthetic Males (Damian Gibbs and Mike Del) & Gino and JJ Blake in a 4-way tag team match to retain the WrestlePro tag titles. July 16, 2016 – ROW TV Taping: Gino defeated Marcellus Black in a no disqualification match to retain the heavyweight title. July 23, 2016 – VCW: JJ Blake and Mysterious Q defeated Gino and Ryan Davidson. October 8, 2016 – ROW TV Taping: Evan Snow defeated Gino and JJ Blake in a 3-way match to retain the heavyweight title. November 12, 2016 – ROW TV Taping: Evan Snow defeated Gino to retain the heavyweight title. November 25, 2016 – 2nd Annual Showcase Of Champions: Evan Snow defeated Gino to retain the heavyweight title. December 10, 2016 – ROW: Gino defeated Evan Snow in a ladder match to win the heavyweight title. January 14, 2017 – ROW: Gino defeated JJ Blake to retain the heavyweight title. February 11, 2017 – ROW: Gino vs. Big Sean Studd ended in a double count-out. Gino retains the heavyweight title. February 25, 2017 – ComPro: Mascara Purpura defeated Gino. March 11, 2017 – ROW TV Taping: Gino defeated Ayden Cristiano to retain the heavyweight title. March 25, 2017 – ComPro: Gino defeated Nathan Estrada. April 8, 2017 – ROW: Ayden Cristiano defeated Gino to win the heavyweight title. May 6, 2017 – Country Strong 2: A Lance Hoyt Benefit: Barrett Brown defeated Chris Marval, Gino, Gregory James, John Saxon and Xtian Blake in a 6-way match. May 13, 2017 – ROW: Gino defeated Jonathan Vega. May 27, 2017 – ComPro: Gino and Rex Andrews defeated Aaron Anders and Brian Breaker. June 10, 2017 – ROW TV Taping: Gino and The Luchador defeated La Familia (Ayden Cristiano and Jonathan Vega). June 24, 2017 – ComPro: Gino defeated Gavin Dixon. July 1, 2017 – ComPro: Brian Breaker defeated Gino to retain the heavyweight title. July 15, 2017 – ComPro: Jack Gamble defeated Gino. July 21, 2017 – Texoma Pro: Gino defeated Jaxon Stone. July 22, 2017 – ComPro: Gino defeated Dimitri Alexandrov. July 29, 2017 – VCW: Gino defeated Ricky Reyes to retain the VCW Commonwealth Heritage title. August 12, 2017 – ROW: Ayden Cristiano defeated Gino to retain the heavyweight title. August 24, 2017 – Zelo Pro: Pat Monix defeated Gino, Jason Hades and Joey Marx in a 4-way match. September 2, 2017 – WildKat: Bu Ku Dao defeated Gino. September 3, 2017 – Inspire Pro: Terrale Tempo defeated Gino and Kody Lane in a 3-way match. September 23, 2017 – MEGA: Bryan Keith defeated Gino and Jonathan Vega in a 3-way match. September 30, 2017 – ComPro: DJ Z defeated Gino. October 7, 2017 – ROW TV Taping: Ayden Cristiano defeated Gino in a ladder match to retain the heavyweight title. October 21, 2017 – ComPro: Gino defeated Aaron Anders. October 28, 2017 – VIP Wrestling/Sabotage: Gino defeated Gregory James, Jerome Daniels and Steve Anthony in a 4-way match. November 4, 2017 – LA: Huracan Ramirez Jr. defeated Gino Medina. 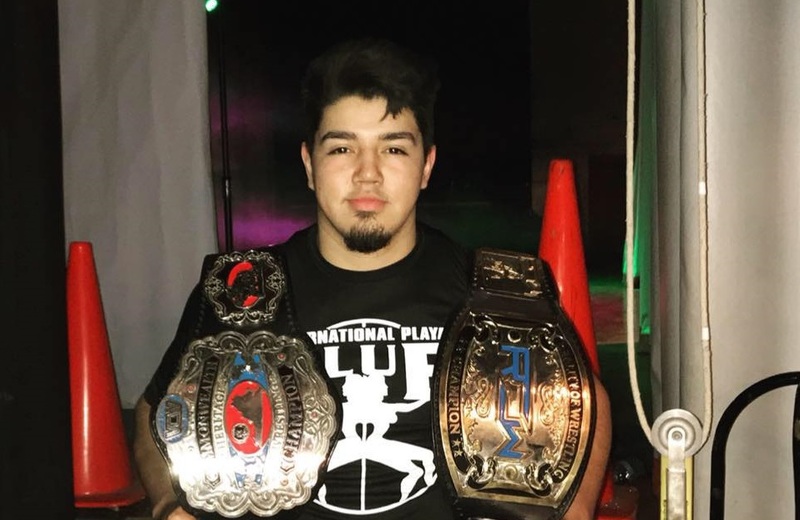 November 11, 2017 – ROW: Ayden Cristiano defeated Gino in a steel cage match to retain the heavyweight title. November 12, 2017 – Inspire Pro: Gino Medina defeated Kody Lane. November 24, 2017 – WrestleCade 3rd Annual Showcase Of Champions: Gino defeated Rex Andrews to retain the ROW heavyweight title. December 2, 2017 – VCW: Gino defeated Rob Barnes in the 1st round. Gino defeated Brysin Scott in the semi-finals. Ken Dixon defeated Gino to win the tournament. December 9, 2017 – ROW: Gino defeated Ayden Cristiano in a title vs career match to win the heavyweight title. January 12, 2018 – ROW TV Taping: Gino defeated MVP by disqualification to retain the heavyweight title. January 14, 2018 – Inspire Pro: Steve O Reno defeated Gino. February 10, 2018 – ROW TV Taping: MVP defeated Gino and Ryan Davidson in a 3-way match. February 24, 2018 – DCW Vol 1: Gino defeated Brysin Scott and Lou Gotti Sterrett in a 3-way match to retain the ROW heavyweight title. March 10, 2018 – VCW: Gino defeated Ken Dixon to retain the Commonwealth Heritage title. March 17, 2018 – ROW TV Taping: Gino defeated MVP to retain the heavyweight title. March 25, 2018 – Inspire Pro: Ethan Price defeated Gino. March 31, 2018 – LA: Gino defeated Doberman. May 11, 2018 – VIP: Rey Horus defeated Gino. May 12, 2018 – ROW: Gino defeated Nathan Jolly to retain the heavyweight title. May 26, 2018 – DCW Vol V: Gino defeated James Drake. May 27, 2018 – Inspire Pro: Gino and Massive defeated Cherry Ramons and Matthew Palmer. June 9, 2018 – ROW TV Taping: Rex Andrews defeated Gino by disqualification. Gino retain the Texas title. July 1, 2018 – Inspire Pro: Gino and Massive defeated Calavera and Ruben Steel & Ryan Remington and Tommy Becker in a 3-way tag team match. July 6, 2018 – VIP: Gregory James defeated Austin Theory and Gino in a 3-way match. July 8, 2018 – ECW: Gino Medina defeated Joey Ozbourne, Locura and Steve Anthony in a 4-way elimination match. July 12, 2018 – DCW Vol VII: Jerome Daniels defeated Gino. July 28, 2018 – VCW: Gino won a battle royal. August 5, 2018 – Andy Dalton Benefit Show: Gino defeated Chandler Hopkins. August 11, 2018 – ROW: Rex Andrews defeated Gino to win the heavyweight title. August 16, 2018 – DCW Vol X: Andy Dalton defeated Chandler Hopkins, Gino, Jaxon Stone and Steve O Reno in a 5-way match. September 8, 2018 – ROW TV Taping: Gino defeated Max Humberto. October 6, 2018 – VCW: Gino defeated Ace Austin. October 13, 2018 – ROW TV Taping: Rex Andrews defeated Abel Andrew Jackson, Gino and Ryan Davidson in a 4-way match to retain the heavyweight title. October 26, 2018 – Promociones Martinez: Gino, Juventud Aerea and Super Aguila defeated Aaron Sykes, Helio Guerra and Muerte Infernal. December 1, 2018 – VCW: Gino defeated Sean Studd by disqualification. January 6, 2019 – Inspire: Juicy Thunder (Cherry Ramons and Thunder Rosa) defeated Gino and Massive to retain the Twin Dragon Connection tag team titles.